In 1993, a group of speleologists found a partial human skeleton at the end of the Lamalunga cave, near the small village of Altamura in southern Italy. 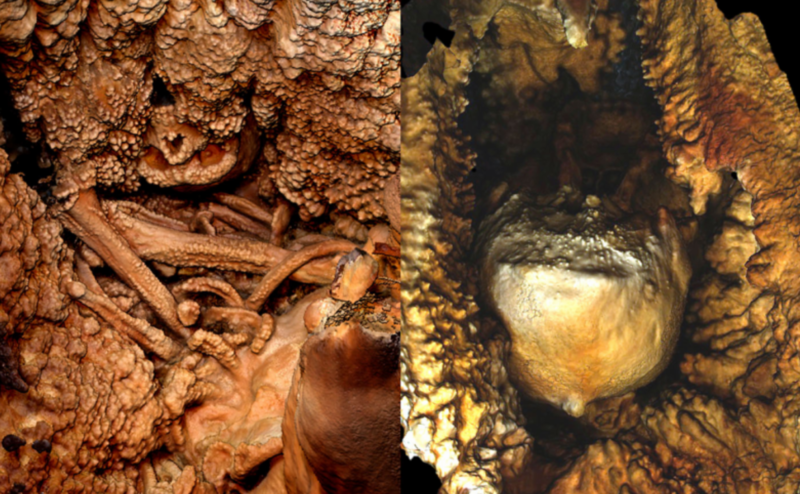 It is embedded in a large calcite column on which coralloids have grown (small speleothems with coral shape). Its location gives it a unique and spectacular appearance, but makes its extraction extremely complex. 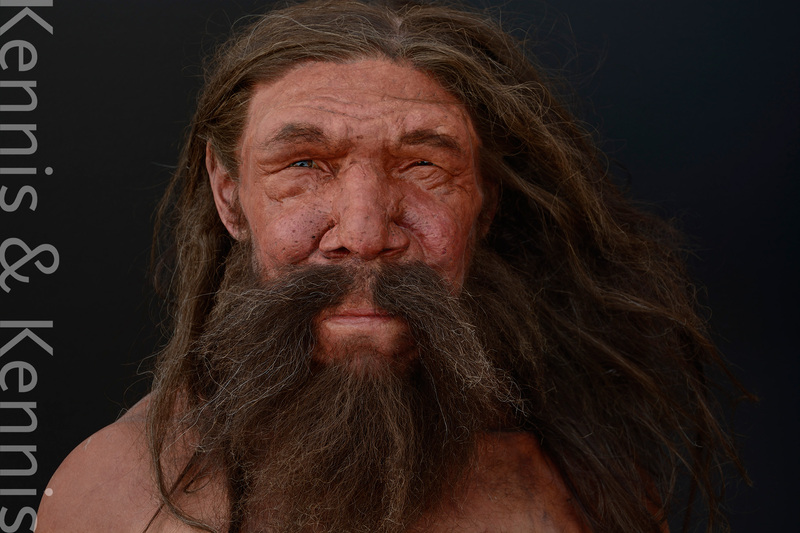 Initially it was considered a Homo heidelbergensis, but in 2015 the analysis of its right scapula was presented, including the mitochondrial DNA that could be recovered from it, and that determined its assignment to Homo neanderthalensis. It was dated to between 130-172 ka, which places it among the oldest known Neandertals. At that time, the megafauna on the area was composed of elephants, hippos, rhinos and deer. Its exceptional preservation in a “time capsule” could make possible to recover more genetic material, perhaps nuclear DNA, and if it can be extracted from the rock, that will enrich the knowledge about the morphological variability of the Neandertals. In 2016, the skeleton was analysed in situ by means of laser scanner and high-resolution photogrammetry of the bones and the cave structure, and a complex digital reconstruction of the skull (a “virtual extraction”) was developed, from two scanned parts and comparing with morphological elements of 38 other Middle and Upper Pleistocene specimens and modern humans (the closest skull was Saccopastore 1). Altamura has many Neandertal-like characteristics (midfacial prognathism, double-arched occipital torus, well-defined suprainiac fossa), but also plesiomorphic features (parietals angulated in coronal section, big mastoids, massive double supraorbital tori with a marked distinction between medial and lateral aspects). Also based on the 2016 study, the Kennis brothers carried out an excellent reconstruction of the Man of Altamura. Esta entrada fue publicada en Fósiles y etiquetada ADN, Altamura, Neandertal, Neanderthal. Guarda el enlace permanente.